If you ever have to deal with legal property boundaries there is a change you may need to use the Property Line by table system in the site design bar. 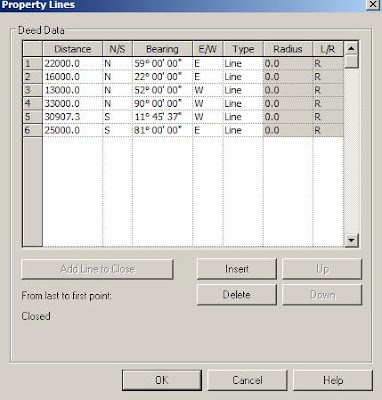 Typically most Revit templates are set up so when you create a property line it will look for a North or South direction and an angle off it to East or West and obviously a distance. It is always worth before you generate a property line by coordinates, to sketch it out on a piece of paper first and work out the appropriate set out angles in relation to the last entered point. Work around in one direction until you get back to the start line. If you ever run into difficulty while adding to the table select "Add line to Close". Unfortunately if you cancel out of the table you will loose all the data you just entered. By closing out the property line you can always edit the table afterwards. There is a good chance the property line won't exactly close. It is more likely to be a few millimeters off, and that is just the nature of coordinates. However you will always need to close out a property line in order for it to be a proper Revit element. 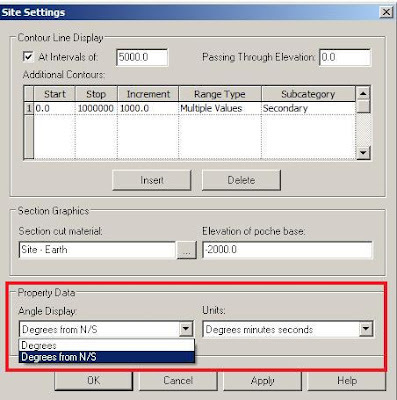 It should be worth remembering, if you need to tag your property lines, it will read the value depending on how you have the site setting set to “Degrees” or “Degrees from N/S”.